The piece of Wood Textured Designer Series Paper with the embossing paste trees has been sitting on my desk for too long... since the September crop maybe? The great thing about embossing paste is that you can create your own masks to use with it! 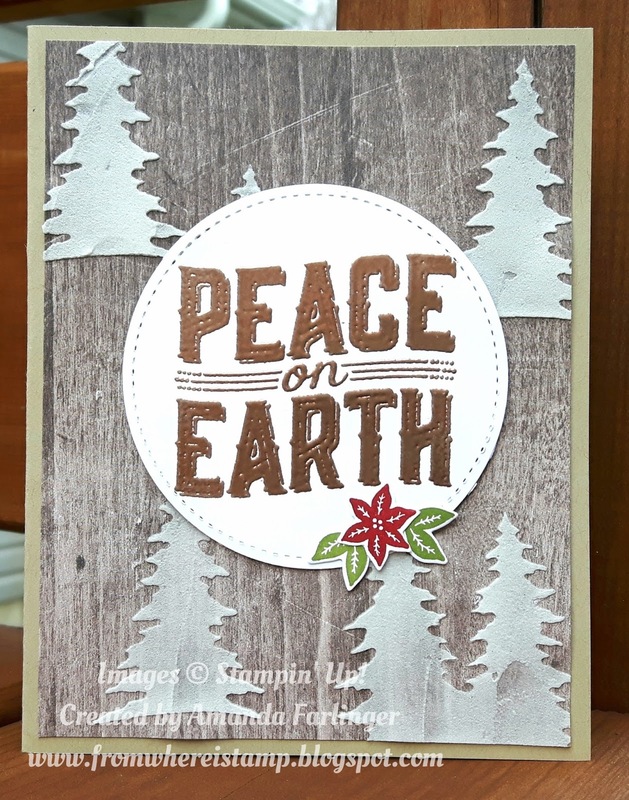 Made mine by using a piece of Whisper White cardstock and cut out the trees using the Card Front Builder tree framelits and the Big Shot. If you wanted to create a mask that is reusable I would suggest using a piece of Window Sheet (something that's on my to do list!). After trimming down the designer series paper I stamped the main image with Versamark and embossed with Copper Embossing Powder. Stamped the flower and leaves, put everything thru the Big Shot and put together! Definitely will be one of the cards I'll be sending out for Christmas!